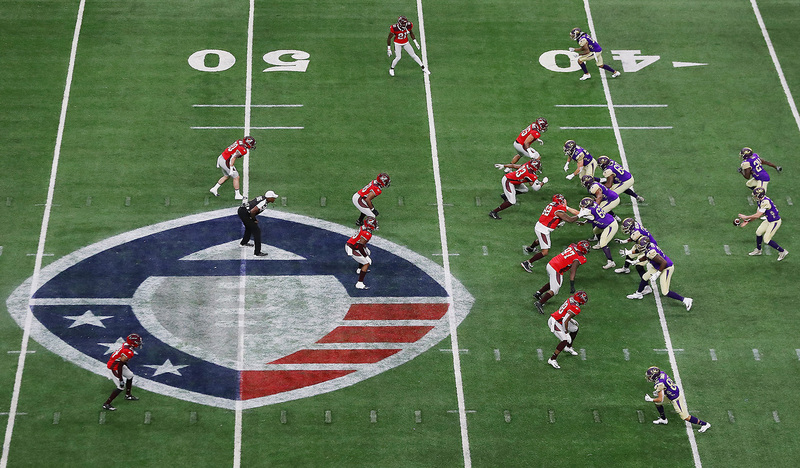 The inaugural season of Alliance of American Football (AAF) kicks off this weekend, and all four game productions are expected to feature next-gen production tools aimed at delivering a football-viewing experience unlike anything viewers have seen before. Highlighting the tech expected to be deployed this season are dual Skycam systems on every game, a state-of-the-art virtual studio for pre/postgame and halftime shows, an RFID-chip–based player-tracking system, and live mics on coaches and quarterbacks. The inaugural AAF season kicks off on Saturday night in primetime on CBS. The upstart league is attempting to balance high-end production elements with cost-efficient workflows. During the season, two of each weekend’s four games will be produced remotely from a control room at Sneaky Big in Scottsdale, AZ (where the virtual studio also is located). The league has inked deals with CBS Sports, NFL Network, and Turner Sports. The action kicks off tomorrow with a pair of primetime games on CBS, which will also carry the Championship Game in April. On Sunday, CBS Sports Network kicks off its 11-week AAF Game of the Week at 4 p.m. ET, and NFL Network’s 19-game AAF slate at 8 p.m. (the network will carry two primetime games per week for the remainder of the regular season). 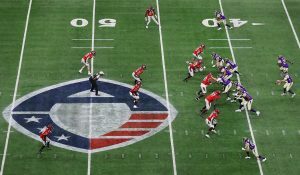 The AAF production team will have more freedom to deploy Skycam in a variety of locations compared with NFL coverage. TNT will televise one AAF regular-season game (Feb. 16 leading into NBA All-Star Saturday Night) and one playoff game. Additional regular-season games will be available weekly via B/R Live. 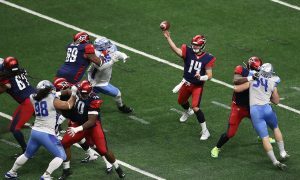 Fans will be able to stream AAF games for free through the league’s app, which also features a predictive game for fans. In addition to the technology, viewers can expect a more streamlined football-viewing experience. According to Teitelman, AAF games will have no TV timeouts and less than half the commercials of an NFL game, as well as no kickoffs and extra points. With a simplified structure and the league’s full ownership of all eight teams, Teitelman believes, production teams will have an unparalleled level of freedom for storytelling. 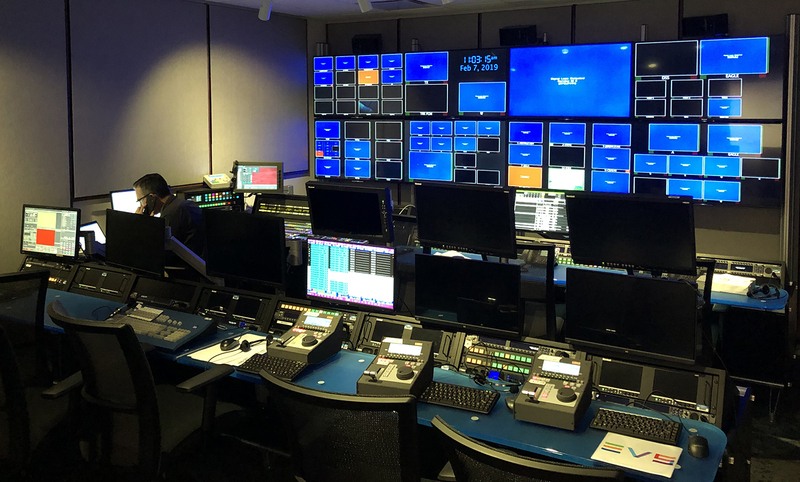 According to Teitelman, each game production will feature six or seven cameras — whether onsite or at-home production — including two Skycam systems. For the two at-home productions each week, the Skycam pilots will be onsite, but the operators will be located at Sneaky Big. This week, A game will operate out of NEP’s Iridium and Zinc trucks and the B game will utilize F&F Productions’ GTX-14 mobile unit. 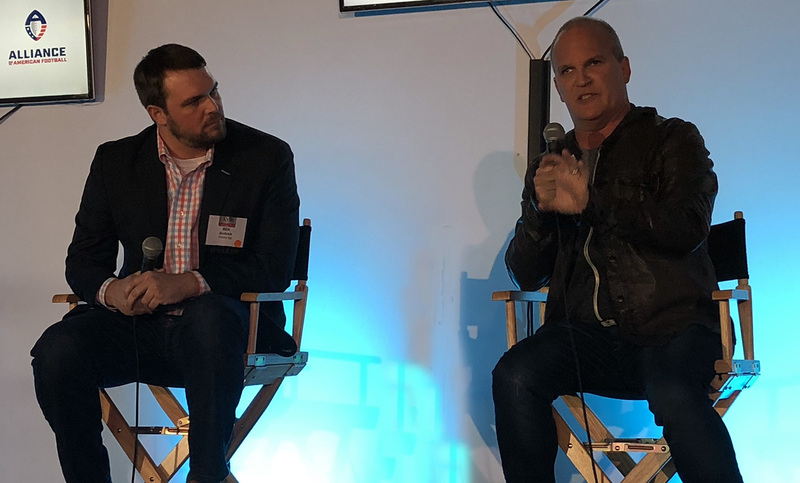 AAF’s Mark Teitelman (right) previewed the league’s production plans during a Q&A with Sneaky Big’s Ben Grafchick at a SVG Regional Platinum Series event in January. Although most football productions deploy three up-high cameras to cover the field, AAF games will typically have one. However, Teitelman says, production teams will compensate with a more liberal use of the two Skycam systems at their disposal. Rather than simply locating the Skycam behind the offense or above the line of scrimmage, the production team will have the freedom to maneuver the systems almost anywhere on the field. Viewers can expect to see Skycam views never seen in NFL action, including from the defense perspective and off-axis sideline angles. In the red zone, the Skycam will often be located along the sideline, operating like a traditional camera cart but with the capability of flying down the sideline or toward the action. On the audio side, head coaches and quarterbacks will be miked (including play-calling comms) when available. And, with more freedom to deploy live mics on the field, the production team will look to capture more NFL Films-style inside-the-game audio. The AAF also worked closely with the CBS Sports creative team and Undefined Creative to develop a uniform graphics package and overall look that will be featured across all AAF live telecasts and streams. SMT is supplying Alliance broadcasters with traditional graphics such as the score bug, along with its virtual 1st & Ten line platform, and its QB Stats prompter. Each Saturday and Sunday will feature two AAF games — one produced out of a truck, the other produced “at-home” out of Sneaky Big. For the at-home games, a Skycam operator will be located in Scottsdale, where all SMT graphics will be inserted and announcers will call the game. 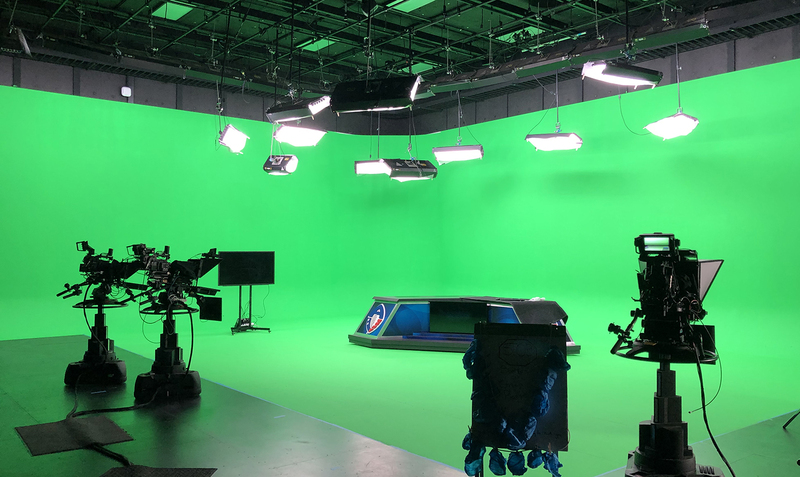 The AAF and Sneaky Big also worked with Brainstorm to create a brand-new virtual studio for pregame, halftime and postgame shows. 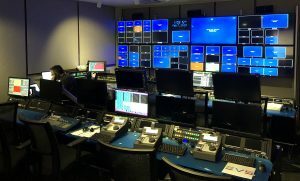 Two AAF games per week will be produced out of a control room at Sneaky Big in Scottsdale, AZ. Besides eliminating the costs of mobile-production facilities and crew travel, the at-home model allows the league to meet its goal of two Skycams on every game and also makes it easier to attract top-flight on-air talent, who won’t have to travel to a different city each week. CLICK HERE for more on Skycam’s role in AAF productions. To make announcers more comfortable calling the game off-tube in a studio, they will be provided a feed of the all-22 camera angle and other feeds to make it feel more like they are at the stadium. The AAF is about much more than just the linear-TV/streaming experience, however. The league’s mobile app is leverages a player-tracking system to provide predictive gaming experience that allows fans to guess upcoming playcalls based on real-time data and odds. AAF’s pregame, halftime, and postgame shows will use a virtual studio at Sneaky Big in Scottsdale, AZ. After the U.S. Supreme Court opened the door for states to legalize sports betting last May, the AAF inked a deal with MGM Resorts to serve as official sports-betting sponsor and betting-technology provider in September. Though the initial version of the app solely features the predictive play calling game , Ebersol has said he expects wagering to play a major role in the league’s overall strategy to engage fans. “There’s a gaming aspect to it — like Clash of the Clans,” he says. 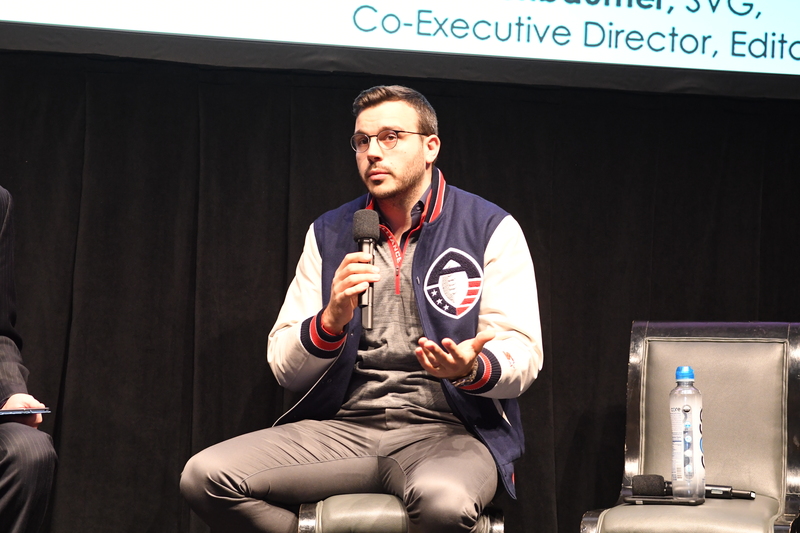 “You want people to form alliances and play the game while you’re watching the game. The app and the data guys led by Eric Schwarz have got some great ideas. “We’re going to crawl before we walk before we run, for sure,” he says. “Hopefully, by the middle of the season, we’re going to be able to push the envelope to do the kind of things that you haven’t seen on a live broadcast before.